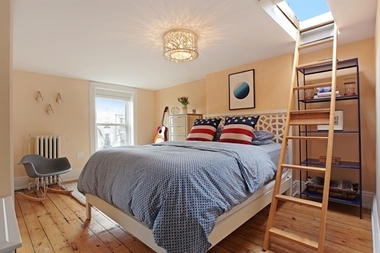 This 1-bedroom duplex in Carroll Gardens at 346 Bond St., listed by Ideal Properties Group for $840,000, had 10 offers after its first open house showing. BROOKLYN — Home buyers looking in Brooklyn's most desirable neighborhoods should brace themselves for a tough spring. If this winter is any indication, it may be more competitive than what's going on across the river in Manhattan. In the fanciest parts of Brooklyn — from Greenpoint and Williamsburg to Brooklyn Heights, Park Slope and Prospect Heights — the median sales price hit $972,000, spiking more than 15 percent since last year, according to a report released Wednesday from Ideal Properties Group, which focused on first-quarter sales for North and Brownstone Brooklyn. That was higher than in Manhattan, where the median price was $900,000, according to the first-quarter report from Compass, which encompasses the whole island from the toniest areas (like TriBeCa where the median is $3.1 million) to its most affordable (Inwood's median was $351,369). This 1.5-bedroom duplex at 692 President St. in Park Slope, recently listed by Corcoran for $699,000, attracted a lot of attention from house hunters at its first open house. Manhattan prices overall have been trending downward since early 2014 and appear to be stabilizing. The median increased only by 0.2 percent over the past year in contrast to the upward curve in the hot Brooklyn areas, which Ideal's Aleksandra Scepanovic predicts will continue to push higher. 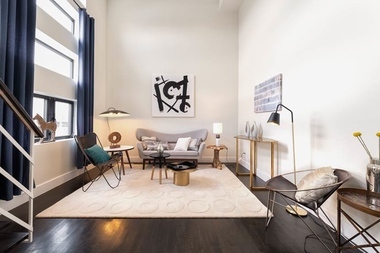 Just this past weekend, her firm held its first open house for a $840,000 one-bedroom duplex in Carroll Gardens, and after attracting 10 bids, the condo is calling for best and final offers before holding a second showing. "We had 120 people falling on top of each other. It was insane the amount of people who came out," Scepanovic said, noting that four people stayed after the crowds thinned to give offers on the spot. "Sometimes you feel like you're in a shark tank," she added of the vibe, noting that activity is so frenzied she is considering hiring assistants for her brokers in order to manage open house crowds. Nearly half of properties sold in the first quarter in these Brooklyn areas went for above the asking price, Ideal found; 14 percent went for the listing price, while 39 percent sold for less than the asking price. Homes priced between $500,000 and $999,000 attracted the most attention from buyers in the first quarter with 36 percent of all sales, Ideal found. In general, homes under $2 million tend to see the most action, whether in the trendy areas of Brooklyn, along the waterfront in Long Island City or in Manhattan, said Fred Peters, of Warburg Realty. "These are the co-op and condo units, which often still bring multiple offers and sell at prices 5 percent or 10 percent above their initial ask," he said in his quarterly report. A large one-bedroom on the Upper East Side recently listed by Warburg for $889,000, for instance, attracted 70 people to its first open house and received a dozen offers, before selling at more than 10 percent over its original asking price, he said. Meanwhile, homes priced above $3 million in Manhattan have been accumulating on the market, and not selling as fast, Compass found. In the first quarter, roughly 30 percent of homes on the market fell into this price point. And while inventory has gone up in Manhattan nearly 8 percent, the bump is due to the new crop of luxury high-rises under development, noted Sofia Song, author of the Compass report. She posited that the growth in the luxury market is helping "drive what's going on in Brooklyn." But Manhattan might not totally lose out, she said. "You have people coming from Manhattan looking at those great Brooklyn neighborhoods," Song noted, "and then you have these Brooklyn residents saying it's just as expensive there as it is in Manhattan, so we might as well move to Manhattan."